This is a summary of my blog for the year. I spend a many hours on my blog, and it is worth while for the reception it receives and the many positive comments I get. Thank you all. The Louvre Museum has 8.5 million visitors per year. This blog was viewed about 100,000 times in 2015. If it were an exhibit at the Louvre Museum, it would take about 4 days for that many people to see it. Cathy Moir is a Senior Food Microbiologist and Team Leader with the CSIRO Food and Nutrition and is Vice President of the Food Safety Information Council, a not for profit organisation. This time of year, most fridges are stocked up with food and drinks to share with family and friends. Let’s not make ourselves and our guests sick by getting things wrong when preparing and serving food. As the weather warms up, so does the environment for micro-organisms in foods, potentially allowing them to multiply faster to hazardous levels. So put the drinks on ice and keep the fridge for the food. But what are some of those food safety myths we’ve long come to believe that aren’t actually true? From a safety point of view, it is fine to refreeze defrosted meat or chicken or any frozen food as long as it was defrosted in a fridge running at 5°C or below. Some quality may be lost by defrosting then refreezing foods as the cells break down a little and the food can become slightly watery. Another option is to cook the defrosted food and then divide into small portions and refreeze once it has stopped steaming. Steam in a closed container leads to condensation, which can result in pools of water forming. This, combined with the nutrients in the food, creates the perfect environment for microbial growth. So it’s always best to wait about 30 minutes before refrigerating or freezing hot food. Plan ahead so food can be defrosted in the fridge, especially with large items such as a frozen turkey or roll of meat. If left on the bench, the external surface could be at room temperature and micro-organisms could be growing rapidly while the centre of the piece is still frozen! It is not a good idea to wash meats and poultry when preparing for cooking. Splashing water that might contain potentially hazardous bacteria around the kitchen can create more of a hazard if those bacteria are splashed onto ready-to-eat foods or food preparation surfaces. It is, however, a good idea to wash fruits and vegetables before preparing and serving, especially if they’re grown near or in the ground as they may carry some dirt and therefore micro-organisms. This applies particularly to foods that will be prepared and eaten without further cooking. Consuming foods raw that traditionally have been eaten cooked or otherwise processed to kill pathogenic micro-organisms (potentially deadly to humans) might increase the risk of food poisoning. Fruit, salad, vegetables and other ready-to-eat foods should be prepared separately, away from raw meat, chicken, seafood and other foods that need cooking. It’s not OK to leave perishable food out for an extended time or overnight before putting it in the fridge. Micro-organisms can grow rapidly in food at temperatures between 5° and 60°C. Temperature control is the simplest and most effective way of controlling the growth of bacteria. Perishable food should spend as little time as possible in the 5-60°C danger zone. If food is left in the danger zone, be aware it is potentially unsafe to eat. Hot leftovers, and any other leftovers for that matter, should go into the fridge once they have stopped steaming to reduce condensation, within about 30 minutes. Large portions of hot food will cool faster if broken down into smaller amounts in shallow containers. It is possible that hot food such as stews or soup left in a bulky container, say a two-litre mixing bowl (versus a shallow tray), in the fridge can take nearly 24 hours to cool to the safe zone of less than 5°C. This is definitely not always true. Spoilage bacteria, yeasts and moulds are the usual culprits for making food smell off or go slimy and these may not make you sick, although it is always advisable not to consume spoiled food. Pathogenic bacteria can grow in food and not cause any obvious changes to the food, so the best option is to inhibit pathogen growth by refrigerating foods. Adding oil to foods will not necessarily kill bugs lurking in your food. The opposite is true for many products in oil if anaerobic micro-organisms, such as Clostridium botulinum(botulism), are present in the food. A lack of oxygen provides perfect conditions for their growth. Outbreaks of botulism arising from consumption of vegetables in oil – including garlic, olives, mushrooms, beans and hot peppers – have mostly been attributed to the products not being properly prepared. Vegetables in oil can be made safely. In 1991, Australian regulations stipulated that this class of product (vegetables in oil) can be safely made if the pH (a measure of acid) is less than 4.6. Foods with a pH below 4.6 do not in general support the growth of food-poisoning bacteria including botulism. So keep food out of the danger zone to reduce your guests’ risk of getting food poisoning this summer. Check out other food safety tips and resources from CSIRO and the Food Safety Information Council, including testing your food safety knowledge. I have written on this extensively in the past. Women should read up on it and be aware of all the facts when making this important decision about mammograms. What you decide could have a major implication for your future. The problem is over-diagnosis (being treated for something you don’t have). 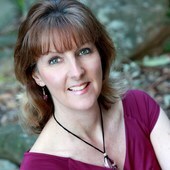 For more information, read Breast screening : Mammography, and Over-diagnosis, on my website. Professor Peter Gotzsche says women are being deliberately misled about the value of mammography screening. Critics rubbish him. But is he that rare breed — an evidence-based conspiracy theorist? In a stout brick community centre in a back street on Sydney’s north shore, Professor Peter Gotzsche is asking an audience why women have not taken to the barricades to express outrage at a major health scandal still largely unknown to the wider world. “Women have been patronised and treated like children who cannot make their own decision,” he declares. The audience of about 80 men and women stares up at him enthralled as he goes on to condemn breast cancer screening programs — which, after 20 years, are generally seen as one of public health’s significant success stories. You could dismiss Professor Gotzsche as just another conspiracy theorist — like the anti-vaxers or the fluoride obsessives — preaching to a gullible public their messages of mass harm at the hands of a health industry riddled with ugly self-interest. But Professor Gotzsche is different. He’s a physician and co-founder of the Cochrane Collaboration, whose utterances are based solely on evidence that exists to back them up. Professor Gotzsche says he has come armed with facts, as well as words. Of course, that there is controversy over the overall risk vs benefit of breast cancer screening is not in dispute. Researchers crunch the numbers from the same clinical trials but have the ability to generate wildly different interpretations. While they tend to agree that screening leads to harm from overdiagnosis, the divergence centres on how often this occurs. Professor Gotzsche, who said breast screening programs were unjustified back in 2001, tells you it’s 50%. The director of the Copenhagen-based Nordic Cochrane Centre hit Australian shores last month to deliver a series of lectures on the topics of mammography screening, Big Pharma and the (allegedly) criminal way they have peddled useless but harmful psychiatric drugs. The mammography talk is being held on a Friday night in the Sydney suburb of Chatswood. The female MC — from the local Cancer Information and Support Society — introduces the Danish professor as “one of the bravest people I have heard of”. “It takes a huge amount of bravery to be able to defend a profession that has been spawned by unethical companies, and medicine has certainly been taken over well and truly,” she says. Professor Gotzsche, seemingly unfazed by this glowing reception, proceeds directly to a 30-minute PowerPoint presentation to canvas the scientific literature that supports his case. As he clicks through a series of slides and graphs, Professor Gotzsche doesn’t mince words. The review concludes that while screening may reduce breast cancer mortality by 15%, it also leads to a 30% rate of overdiagnosis and overtreatment. It seems in the past two years, he has revised this overdiagnosis figure to 50%. “A few years ago, I’d just had enough because very many scientists published deliberately dishonest science in order to tell the world there is virtually no overdiagnosis and screening has a huge effect,” he tells the audience. He goes on to tell the audience how screening kills at least as many women through overdiagnosis and subsequent overtreatment of harmless cancers as it saves. This identification of indolent cancers leads to unnecessary radiotherapy that can cause potentially fatal complications such as lung cancer and heart disease, he tells them. 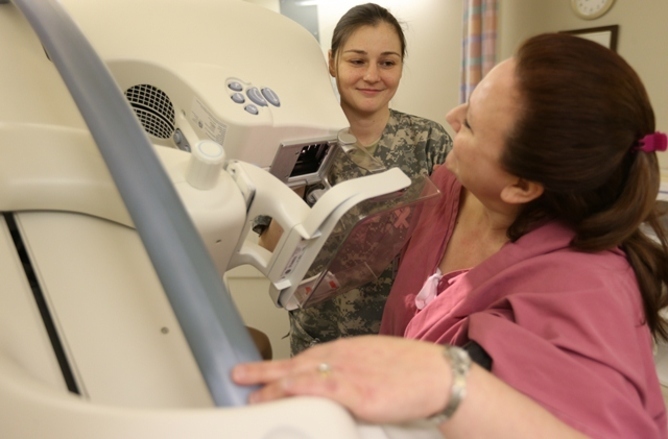 Screening also causes other harms, such as psychological distress, with false-positive results that occur after 10 mammograms for between 20% and 60% of women, he says. He further claims that while the rationale for screening is to catch cancers early before they spread, evidence from Australia, Italy, Norway, Switzerland, the Netherlands, the UK and the US shows screening does not reduce the rate of advanced cancers. In Norway, the risk of stage 3 and 4 cancer was exactly the same in the screened and non-screened populations. Put simply, screening “can’t work”. “The best prevention of breast cancer we have is telling women to stay at home and not go to screening,” he tells the audience. These are the blunt conclusions based on his assessment of the evidence. However, it is his willingness to speak of malign intent behind the promotion of breast screening that takes him beyond the sober, much-qualified conclusions of the average Cochrane review. Cancer societies and health agencies deliberately mislead women by highlighting the benefits of screening and downplaying the risks, he says. Professor Gotzsche is not the only medical researcher or world-renowned doctor who has called for national mammography programs to end. Leading UK breast surgeon Professor Michael Baum — who established the first breast screening centre in south-east England in 1987 — resigned a decade later from the country’s national screening committee over the issue of informed consent. He later called for the UK’s screening program to be scrapped, arguing it was not effective in saving lives. Professor Alexandra Barratt, an Australian expert from the University of Sydney’s School of Public Health, says with so much controversy surrounding the topic, it is also vital the country has a robust debate and that women are given enough information about the risks and benefits to make up their own minds. “Trying to work out what is the best evidence is difficult [partly because] those randomised trials are so old now,” she says. But that debate is just not happening, Professor Barratt says. Unsurprisingly, this claim is rejected by Breastscreen Australia. A spokeswoman told Australian Doctor that there were online resources providing information on the risks as well as the benefits of breast screening. “The program has been successful in reducing mortality from breast cancer at the current participation rate of 56% in the target age group of women aged 50 to 69 years, by approximately 21% to 28%,” she says. Cancer Council Australia’s public health committee chair Adjunct Associate Professor Craig Sinclair quotes the same stats in dismissing claims organisations like his use fear tactics to boost participation. “There is no scaremongering in the promotion of mammography screening,” he says. But he acknowledges screening has been the subject of debate for many years. “The key dilemma is trying to determine a mortality benefit in some women against the occurrence of overdiagnosis in others, without ever being clear about who is likely to fall into which category,” Professor Sinclair says. “In general, we take the same position as health authorities in the UK. The 2012 Independent UK Panel on Breast Cancer Screening estimated that, for 10,000 women invited to screen from age 50 over 20 years, 681 cancers would be diagnosed, of which 129 will represent overdiagnosis and 43 deaths from breast cancer will be prevented. Back in Chatswood, Professor Gotzsche is fielding questions from the audience. “So if the evidence is so clear, what do you think drives governments to continue screening?” one man asks. The audience erupts into laughter. “It’s incredibly difficult to stop a national program. There are so many faces to be saved, so many investments, such a large income and so much propaganda,” he says. A woman asked whether women should continue with other forms of screening? “Bobby McFerrin — Don’t Worry be Happy,” he quips, referring to the 1988 hit song. The crowd laughs once more. “We have done the Cochrane review on monthly breast cancer self-examination,” he continues. “It doesn’t work. It only doubles the number of biopsies and therefore also the number of worries. Could all his talk about deliberately misleading study conclusions, dodgy number crunching and vested industry interests leave him open to being labelled a conspiracy theorist — or, at the very least, a crusader with his own barrow to push? And if so, does this damage the Cochrane brand? Not according to Australian Cochrane Collaboration reviewer Professor Chris Del Mar, professor of public health at Bond University, Queensland. “What Gotzsche has brought to the debate is hard cold facts. The evidence of benefit is more questionable than we thought initially, the harms more serious than we had assumed,” Professor Del Mar says. After Professor Gotzsche finishes his presentation, he speaks to Australian Doctor. “There are very few people who know so much about breast screening as I do,” he says. “I’m regarded as one of the leading experts in the world by leading observers such as BMJ editor-in-chief Fiona Godlee, so I know very well about this literature, and I had to write a whole book to expose some of the most important scientific misconduct in this area. 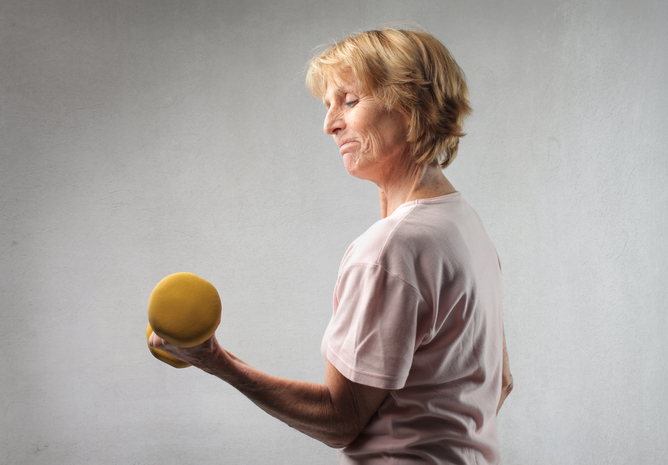 Strength training is an ideal way for older women to mitigate the symptoms associated with menopause. Candice Christie, lead investigator, received funding from the Medical Research Council of South Africa for this research. Research team members, Tegan Crymble and Janet Viljoen, were beneficiaries of this funding allocation. Janet Viljoen received a scholarship from the Deutsche Akademiese Austausch Dienst (DAAD) during the course of this research project. Provides support as an Endorsing Partner of The Conversation AFRICA. Forget pilates, yoga or even taking a brisk walk in the park. Women over the age of 50 should try lifting weights and doing other strength training exercises if they want to kick menopause symptoms. Our study found that older women who did weight lifting for two months built up strength in both their upper and lower bodies. And although the women did not lose any weight, they were more confident, happier – and even received compliments from their partners. In practical terms the women found it easier to climb a flight of stairs, had less knee and hip pain, and could easily get onto the floor and back up again when playing with their grandchildren. On top of this, unpublished findings from this study found that after three months on the programme the women also lost significant centimetres around their waists. Menopause usually occurs in women between the ages of 47 and 55 years. 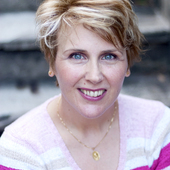 There are both physical and psychological symptoms linked to menopause. The physical changes are driven by a loss of estrogen hormones. One of these changes is increased belly fat, which is a risk for heart disease and type 2 diabetes. The other is the loss of muscle. Muscle loss means that women become weaker and stand more of a chance of developing problems such as osteoporosis. Previous studies have found menopause symptoms such as aching joints and back pain are psychologically motivated and are more prevalent among white women. For African-American women, symptoms such as hot flushes and night sweats are more prevalent. Data does not exist for South African black women yet. We wanted to find a way to mitigate these symptoms, improve the health of women and decrease the risk of them being injured because of their bodies becoming more fragile. Our study looked at how 30 minutes of strength training, five times a week, could benefit a group of women aged 55 to 65. The women exercised in small groups with a personal trainer doing exercises that targeted their upper bodies, torsos and legs. The programme got progressively harder as the two months went by. It, however, did not exceed 80% of the maximum effort they could exert. The intensity was tested once a month so that it could be adjusted. In previous studies, the women only exercised three times a week, at lower intensities with mixed results. This, however, did not get enough results. Our results show that the study’s design was not only successful, but that women preferred the daily routine. 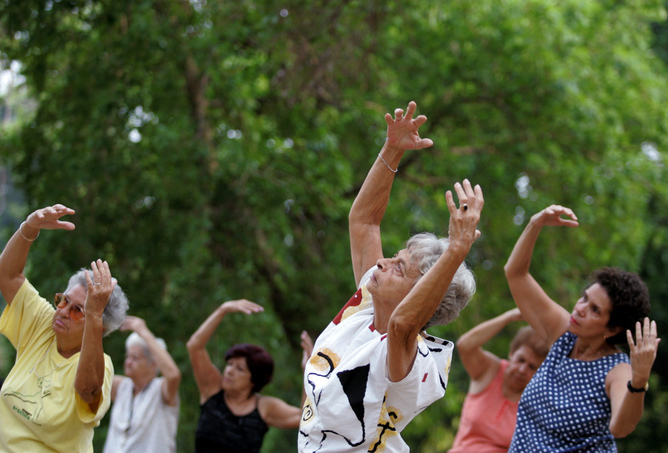 This means that older women have a feasible and affordable way to improving their health and body strength. On average, the retirement age for women is 65 years. This means that for 10 to 15 years after menopause women are still economically active. The findings show that their health, risk of injury and ultimate productivity can be improved. Most importantly, however, women over the age of 50 are more than capable of high intensity resistance training and may benefit from this type of physical activity. The good news is that strength training can have tangible outcomes. Many women give up on less intense exercise programmes, like walking, because they feel there is no benefit. Now they know they have an alternative. Oestrogen for treating Breast Cancer. Menopause. 2013 Apr;20(4):372-82. doi: 10.1097/GME.0b013e31828865a5. Scientific rationale for postmenopause delay in the use of conjugated equine estrogens among postmenopausal women that causes reduction in breast cancer incidence and mortality. There are many unhappy about taking antidepressants long term. An effective alternative is Mindfulness-Based Cognitive therapy. (MBCT). This study confirms the effectiveness of MBCT. I have many posts on mindfulness. Search “mindfulness” on my web-site for these previous blogs. Mindfulness-based cognitive therapy with support to taper or discontinue antidepressant treatment (MBCT-TS) is neither superior nor inferior to maintenance antidepressant treatment for preventing a depressive relapse, according to the PREVENT trial. Researchers randomized 424 patients to MBCT-TS or maintenance therapy and found no difference in time to relapse or recurrence of depression between the two groups. Rates of adverse affects were similar in both groups. The study authors note that both treatments were associated with positive outcomes regarding relapse or recurrence, residual depressive symptoms, and quality of life. Citation: Kuyken W, Hayes R, Barrett B, et al. Effectiveness and cost-effectiveness of mindfulness-based cognitive therapy compared with maintenance antidepressant treatment in the prevention of depressive relapse or recurrence (PREVENT): a randomised controlled trial. Lancet. 2015. doi:10.1016/S0140-6736(14)62222-4. Researchers have been talking about the dangers of overdiagnosis for some time. But now a national survey shows most people aren’t told about the risk it poses to their health – and they want to know. Dr Ray Moynihan is a member of the committees planning the Preventing Overdiagnosis and Overuse meeting in Australia in August, and the Preventing Overdiagnosis conference in the US in September this year. Bond University is not a member of The Conversation and does not financially support the project. Find out more. The Conversation is funded by CSIRO, Melbourne, Monash, RMIT, UTS, UWA, ACU, ANU, ASB, Baker IDI, Canberra, CDU, Curtin, Deakin, ECU, Flinders, Griffith, the Harry Perkins Institute, JCU, La Trobe, Massey, Murdoch, Newcastle, UQ, QUT, SAHMRI, Swinburne, Sydney, UNDA, UNE, UniSA, UNSW, USC, USQ, UTAS, UWS, VU and Wollongong. An Australian survey released today has found a large majority of people report they’ve never been told by doctors about the danger of being overdiagnosed – and an equally large majority say they want to be informed. This is the first time anywhere in the world the general community has been asked about their knowledge and views on the “modern epidemic” of overdiagnosis, which happens when someone is diagnosed with a disease that won’t actually harm them. Being overdiagnosed means you’re likely to be over-treated, and potentially suffer the harms of that treatment without getting any of its benefits. It can occur as a result of healthy people undergoing certain cancer screening programs, for instance, and being diagnosed and treated for a cancer that would never progress to cause symptoms or early death. While there’s ongoing scientific debate about how often this happens, a large independent UK inquiry estimated that, along with saving lives of those diagnosed with harmful cancers, perhaps one in five of the cancers detected via breast cancer screening are overdiagnosed. Overdiagnosed cancers were defined in the inquiry’s full report as those “diagnosed by screening that would not otherwise have come to attention in the woman‘s lifetime”. For prostate cancer screening, evidence suggests as many as one in two cancers may be overdiagnosed – causing some public health authorities to recommend against screening for it at all. Run with colleagues at Bond and Sydney universities, our national survey of 500 Australians – published today in global open-access journal PLOS ONE – specifically asked people if they’d been screened for breast or prostate cancer. And if so, whether or not they’d been informed about the risk of overdiagnosis associated with the screening. Of the men reporting being screened for prostate cancer, 80% said they had not been told of the risk of overdiagnosis. Of women who’d been screened for breast cancer, 87% said they had not been told. Overall, only one in ten said they’d ever been informed by a doctor about overdiagnosis. Asked whether they thought that, along with the benefits of being screened, people should also be informed about the risk of being overdiagnosed, 93% agreed. Remarkably, at the end of the anonymous telephone survey, 80% of people agreed to share their personal details so they could participate in follow-up qualitative research on overdiagnosis. Their agreement highlights a public hunger for more information about the issue. Another reason overdiagnosis happens is because diagnostic thresholds for some diseases are lowered so much that people with mild symptoms, or at very low risk of illness, are labelled as “diseased” – even though many will never actually be harmed by the disease. Consider “pre-hypertension” which is said to affect a whopping one in three adults, or the continually expanding definitions of attention deficit hyperactivity disorder (ADHD). These changes to disease definitions, which often expand the numbers of people classified as sick, are commonly made by panels of experts that include doctors who are paid to speak for or consult to drug companies. In a previous study published in PLOS Medicine, our team found around 75% of these experts have multiple relationships with a median of seven drug or device companies. In our current survey, we asked the public what they thought about doctors who define disease also having relationships with pharmaceutical companies. This is likely the first time anywhere in the world the public has been asked about the experts who draw the line between health and illness. Almost 80% of the survey participants thought these relationships with drug companies were inappropriate, and 90% thought the panels should have a minority of members with these conflicts of interest, or be totally free of them. Public thinking, it seems, is very much in tune with recommendations from august bodies including the United States Institute of Medicine, which have concluded there is a need for much greater independence between influential medical panels and the pharmaceutical industry. Like all research, our survey has limitations and we’ve spelt them out in our published article. One of them is that out of all the people contacted and eligible for the survey, just under half agreed to take part, raising the possibility of differences between our sample and the wider population. Notwithstanding limitations, our survey adds weight to calls to better inform people about the risk of overdiagnosis, particularly those who take part in cancer screening programs. This has started to happen around the world, and is on the cards in Australia. On the question of conflicted experts, our results suggest there might be strong public sympathy for any professional group or policymaker brave enough to try and bring more independence to the influential panels that decide who is sick and how they should be treated. Despite the counter-intuitive and complex nature of the problem, preventing overdiagnosis is increasingly on the radar of those working for a more rational and sustainable health-care system. It may help shift resources wasted on unnecessary care to those in genuine need. Something every woman should know about breast cancer surgery. Dr Paul Layman wrote to us recently to clear up an error in the Tony Howell interview. Paul writes, “An eighteen year study on the protective effect of natural progesterone has recently been confirmed. The oestrogen receptor status of breast cancer is now thought to be of significance in recurrence rates, but the Imperial College study seemed to suggest that the timing of breast surgery was more important than receptor status“. And he is perfectly correct. Choosing the correct point in your monthly cycle to have a breast operation can increase your 10-year survival by two thirds! Every woman and their doctor should know this fact. Indeed the research also showed that oestrogen receptor positive and progesterone receptor positive tumours had the highest survival rates if surgery was performed in the second half of a womans cycle. This work confirmed an earlier study from Guys Hospital by Cooper, Gillett, Patel, Barnes and Fentiman in August 1999 and yet earlier work by Hrushesky et al (Lancet 7989). Have you ever snapped angrily at someone when you were hungry? Or has someone snapped angrily at you when they were hungry? If so, you’ve experienced “hangry” (an amalgam of hungry and angry) – the phenomenon whereby some people get grumpy and short-tempered when they’re overdue for a feed. But where does hanger come from? And why is it that only some people seem to get hangry? The answer lies in some of the processes that happen inside your body when it needs food. The carbohydrates, proteins and fats in everything you eat are digested into simple sugars (such as glucose), amino acids and free fatty acids. These nutrients pass into your bloodstream from where they are distributed to your organs and tissues and used for energy. As time passes after your last meal, the amount of these nutrients circulating in your bloodstream starts to drop. If your blood-glucose levels fall far enough, your brain will perceive it as a life-threatening situation. You see, unlike most other organs and tissues in your body which can use a variety of nutrients to keep functioning, your brain is critically dependent on glucose to do its job. You’ve probably already noticed this dependence your brain has on glucose; simple things can become difficult when you’re hungry and your blood glucose levels drop. You may find it hard to concentrate, for instance, or you may make silly mistakes. Or you might have noticed that your words become muddled or slurred. Another thing that can become more difficult when you’re hungry is behaving within socially acceptable norms, such as not snapping at people. So while you may be able to conjure up enough brain power to avoid being grumpy with important colleagues, you may let your guard down and inadvertently snap at the people you are most relaxed with or care most about, such as partners and friends. Sound familiar? Besides a drop in blood-glucose concentrations, another reason people can become hangry is the glucose counter-regulatory response. Let me explain. 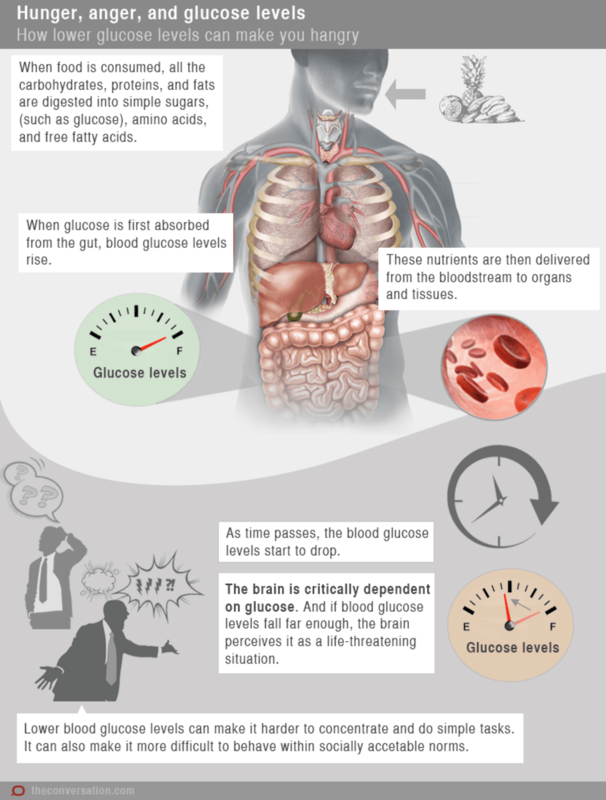 When blood-glucose levels drop to a certain threshold, your brain sends instructions to several organs in your body to synthesise and release hormones that increase the amount of glucose in your bloodstream. 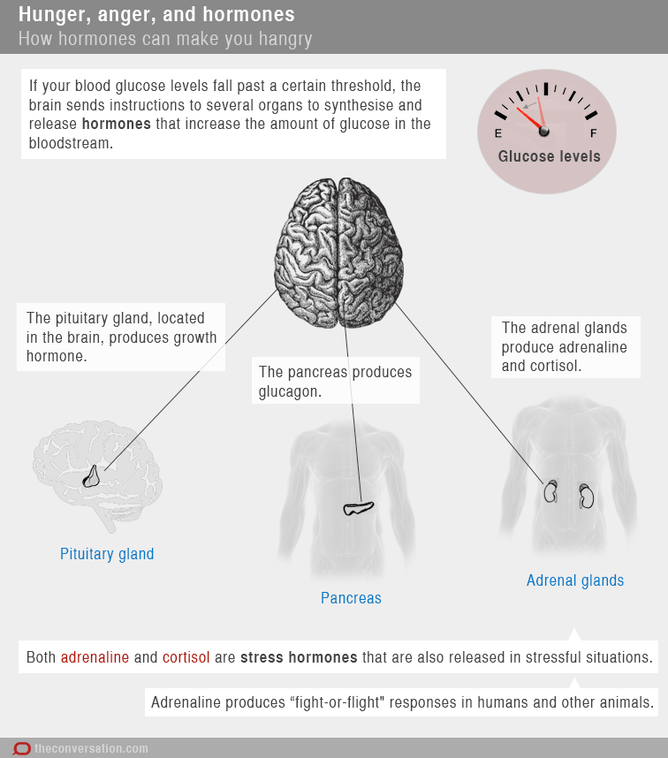 The four main glucose counter-regulatory hormones are: growth hormone from the pituitary gland situated deep in the brain; glucagon from the pancreas; and adrenaline, which is sometimes called epinephrine, and cortisol, which are both from the adrenal glands. These latter two glucose counter-regulatory hormones are stress hormones that are released into your bloodstream in all sorts of stressful situations, not just when you experience the physical stress of low blood-glucose levels. In fact, adrenaline is one of the major hormones released into your bloodstream with the “fight or flight” response to a sudden scare, such as when you see, hear or even think something that threatens your safety. Just as you might easily shout out in anger at someone during the “fight or flight” response, the flood of adrenaline you get during the glucose counter-regulatory response can promote a similar response. Another reason hunger is linked to anger is that both are controlled by common genes. 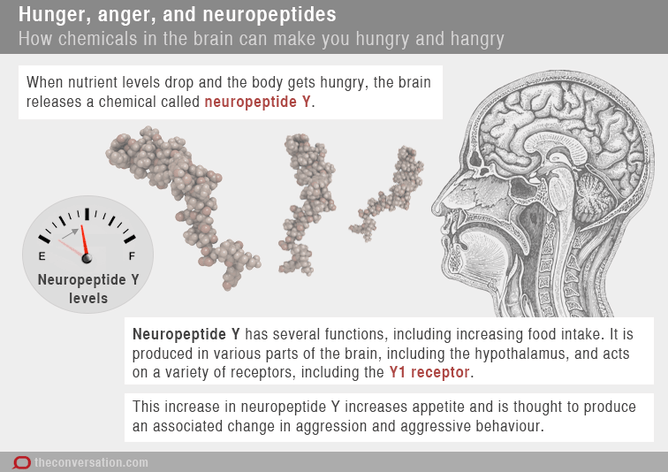 The product of one such gene is neuropeptide Y, a natural brain chemical released into the brain when you are hungry. It stimulates voracious feeding behaviours by acting on a variety of receptors in the brain, including one called the Y1 receptor. Besides acting in the brain to control hunger, neuropeptide Y and the Y1 receptor also regulate anger or aggression. In keeping with this, people with high levels of neuropeptide Y in their cerebrospinal fluid also tend to show high levels of impulse aggression. As you can see, there are several pathways that can make you prone to anger when you’re hungry. Hanger is undoubtedly a survival mechanism that has served humans and other animals well. Think about it like this: if hungry organisms stood back and graciously let others eat before them, their species could die out. While many physical factors contribute to hanger, psychosocial factors also have a role. Culture influences whether you express verbal aggression directly or indirectly, for instance. And as we are all different across all of these factors, it’s little wonder there are differences in how angry people seem to get when they’re hungry. The easiest way to handle hanger is to eat something before you get too hungry. While you may hanker for quick-fix foods, such as chocolate and potato chips, when you’re in the throes of hanger, junk foods generally induce large rises in blood-glucose levels that come crashing down fast. Ultimately, they may leave you feeling hangrier. So think nutrient-rich, natural foods that help satisfy hunger for as long as possible, without excess kilojoules. Eating as soon as you are hungry may not always be possible. This may be the case during long shifts at work, for instance, or through religious fasts such as Ramadan, or during weight-loss diets that involve severe energy restriction (such as intermittent fasting diets). All of these should only be done if your doctor has given you the all-clear. In these cases, it can help to remember that, with time, your glucose counter-regulatory response will kick in and your blood-glucose levels will stabilise. Also, when you go without food, your body starts breaking down its own fat stores for energy, some of which are converted by your body into ketones, a product of fat metabolism. Ketones are thought to help keep your hunger under control because your brain can use ketones in place of glucose for fuel. A final – and very civilised – way of handling hanger is to suggest that difficult situations be dealt with after food, not before!